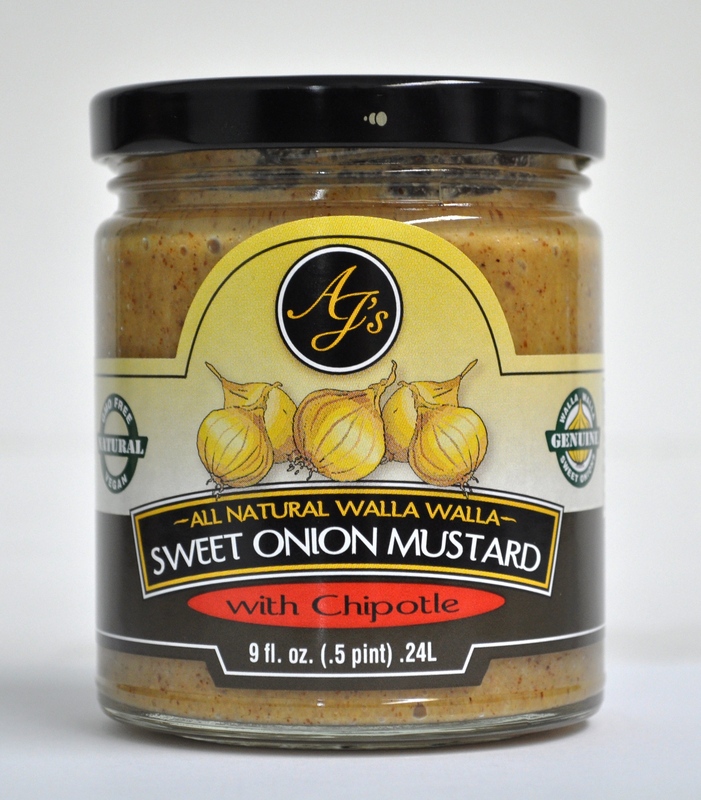 All these products are made GMO free and are Vegan. 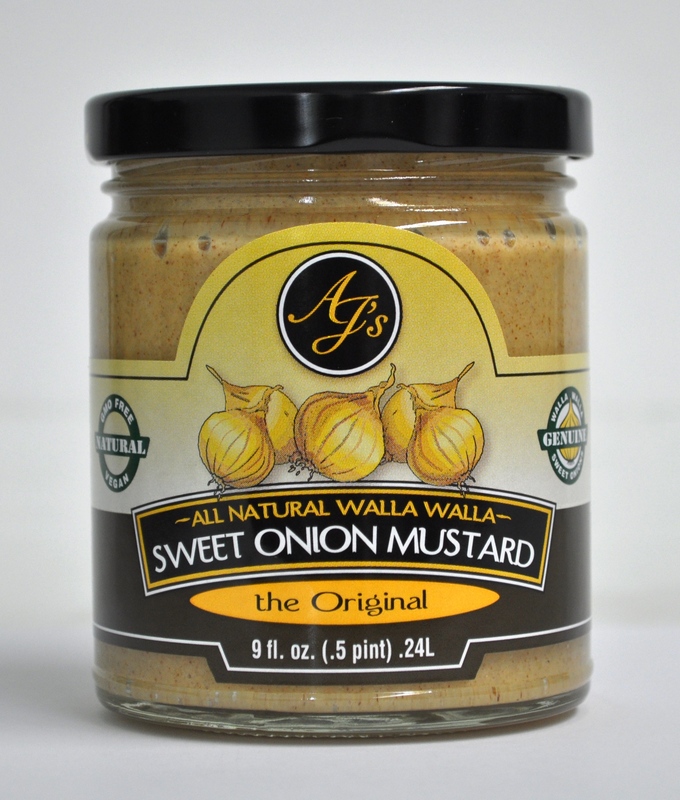 While not organic, they are all natural. 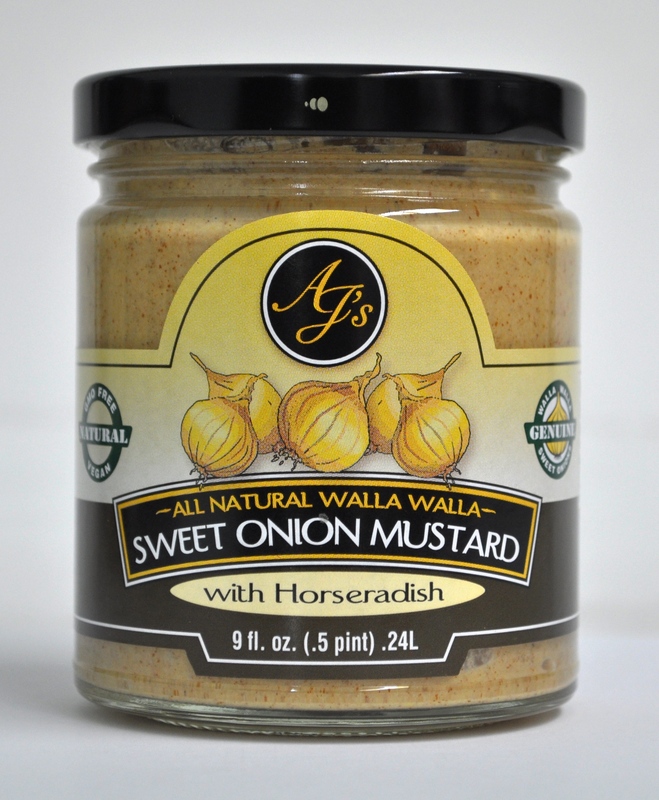 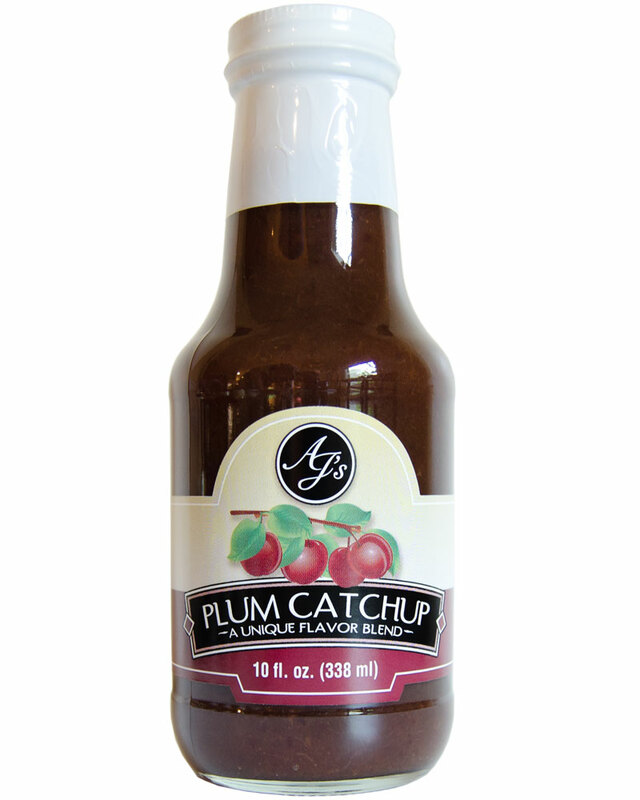 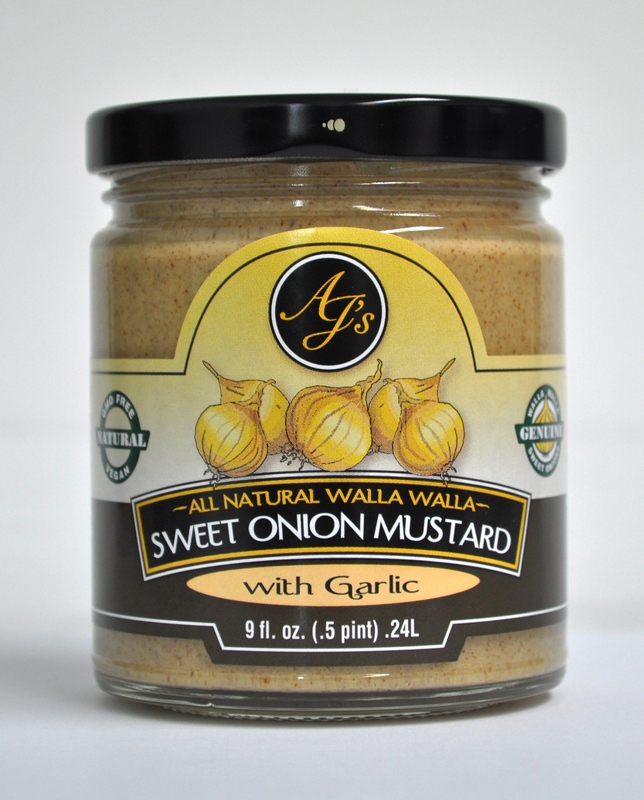 AJ’s Natural Walla Walla Sweet Onion Mustard with Horseradish 9 oz.